I think that I can say that I speak on behalf of a great many of the Whistler/Sea to Sky not-for-profits in thanking Rod Rohda for his dedicated leadership of the American Friends of Whistler (AFOW) over the last seven years. Our board feels likewise and at the end of our board meeting this past Saturday we surprised Rod by making a $15,000 grant to the Whistler Public Library, as announced today by RMOW. 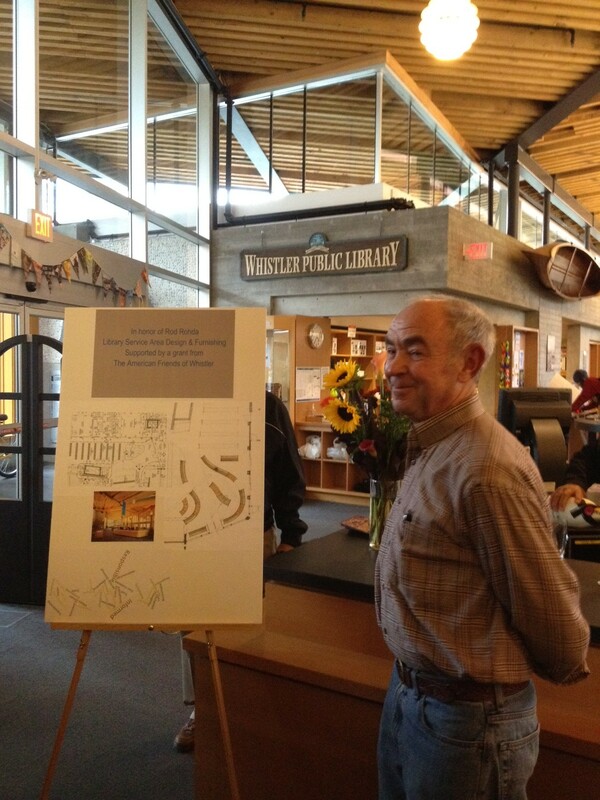 Thanks Rod for all your past and future passion for making Whistler a terrific community.